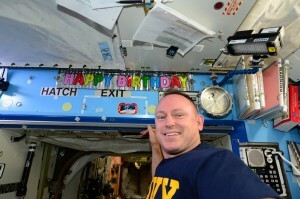 Happy Birthday to Butch Wilmore the International space station commander. HAPPY BIRTHDAY COMM. WILMORE !!! MY NAME IS JEFF CONLEY AND I’M FROM SAN ANTONIO,TEXAS..
AND HELLO TO YOUR FELLOW CREW MEMBERS AS WELL !! I RECENTLY WENT ON LINE AND GOOGLED ‘SPACE’.. THEN I SAW NASA.COM LISTED..AND I CLICKED IT , I WAS READING ABOUT ISS , SROLLED DOWN TO WHERE THERE WAS A LIVE FEED FROM ISS.. AND , WOW, WHAT A BEAUTIFUL SITE !!! SEEING ”MOTHER EARTH” FROM THE HUBBLE SCOPE IS AMAZING !! WHAT YA’LL ARE DOING IS AMAZING !! EVERYDAY I LOG IN AND SEE WHAT’S NEW !! NICE PICTURE OF THE SUN, BY THE WAY !!! COMMANDER, YOU AND YOUR FELLOW CREW MEMBERS BE SAFE, HAVE A HAPPY NEW YEAR AND HAVE A SAFE JOURNEY BACK HOME !!! GOD BLESS EACH AND EVERYONE OF YOU !!! BYE FOR NOW, JEFF..
Comandante Feliz Cumpleaños que lo pase bonito saludos de Cristian Perez mis hermanos y mis padres desde Venezuela. For a birthday gift I suggest buying a map of the world. Your skills in geography aren’t that good. I’m sure this will be censored aswell. HI Barry! 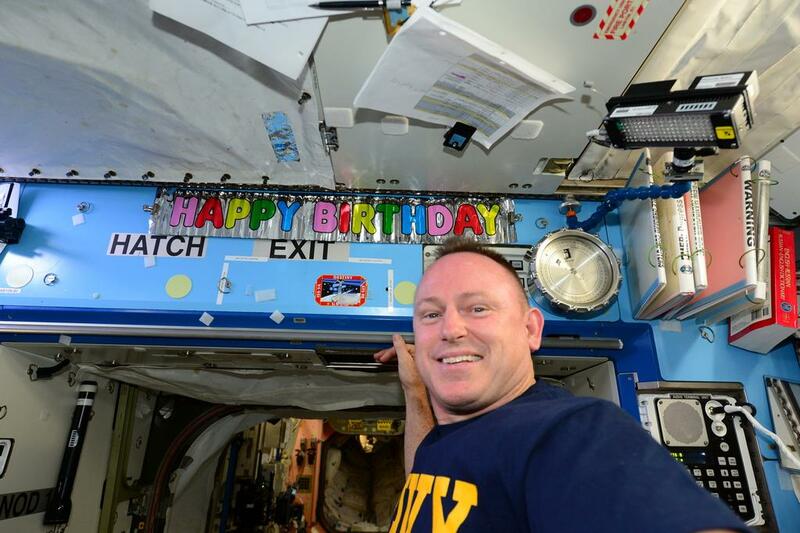 We wish you a Happy BIrthday and we know that you are having the time of your life there on the ISS. Enjoy every moment. From your Friends in MJ.Tennessee. Happy Birthday Commander Wilmore ! Happy Belated Birthday Commander WIlmore. I was honored to meet you in 2010 in Mount Airy, NC. Your passion for space travel radiated clearly from you and my pride in you and all who have traveled/explored is just as strong. Our family have enjoyed watching your adventures! We Look forward to seeing more of your pictures. Many people are living there dreams thru you!! God bless to you and everyone of the crew!